Living in China for multiple years, it has become crucial to take in consideration the air we breathe in. So we made it our mission to reduce CO2 at our school. After watching the Ted Talk called "How to grow fresh air", we were inspired by his idea to introduce unites of 11 plants into our everyday lives. That is why we have organized a committee called "Enhance your chance with plants TO2 (TO2 double meaning: refers to oxygen and two o's, too). In this committee we coordinated a fund-raiser in which teachers and families of our community could buy a unit of 11 plants. This unit is the right amount of plants to produce enough oxygen to sustain one person. 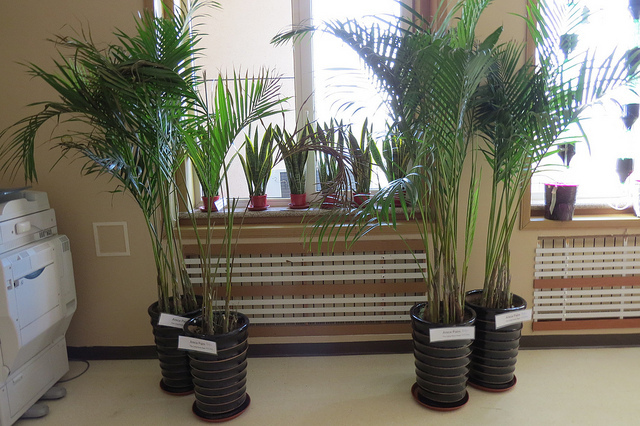 The unit consists of three types of plants: 6 Mother-in-law's tongues, 4 Areca Palms, and one Money Plant.